What makes the enigmatic street writer named Banksy so amazingly popular is more than the undeniable talent (and the many PR lessons) seen in the artists campaigns. Bansky’s popularity stems, in large part, from the thoughtful social commentary that he (or she?!) puts into the work. This picture is from 2005, when the artist went to the wall separating Israel and Palestine (and yes, that’s spray paint). Mr. Gorbachev is never around when you need him, so Banksy went to the rescue. Everything Banksy does is pre-calculated to set the media on fire within seconds. So what would you say if he or she met a 14-year-old boy on a British train, handed the kid a signed picture, and possibly shared an androgynous first name? It may have happened. Meet Ben Azarya. Do you know who Robin Banks is? This will be worth £20,000. Have a good life, brother. 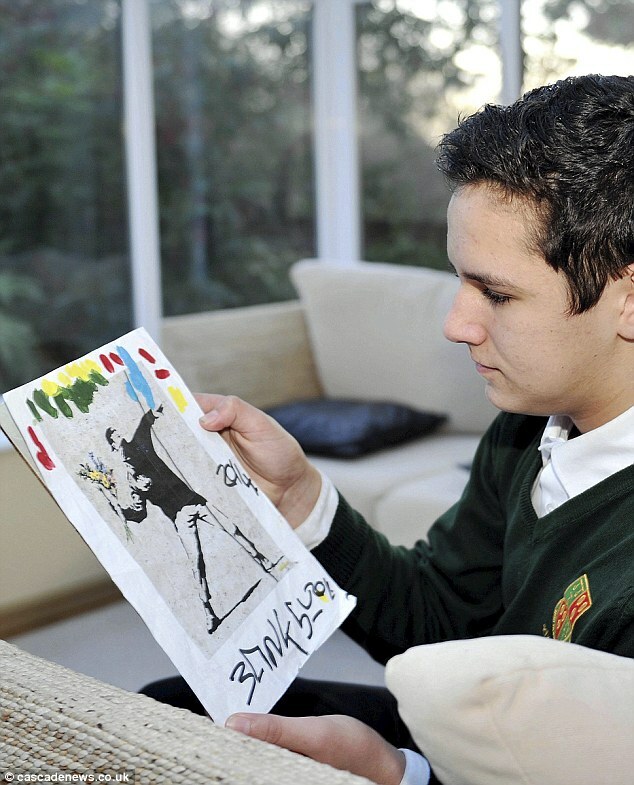 Sadly though, it looks like the schoolboy will be disappointed as the real artist has come forward to say it wasn’t him. Said spokeswoman doesn’t have a name — though we assume it’s Jo Brooks — and the artist obviously values anonymity. Still, many will choose to believe that Ben now has the signature of the world’s most popular graffiti artists. 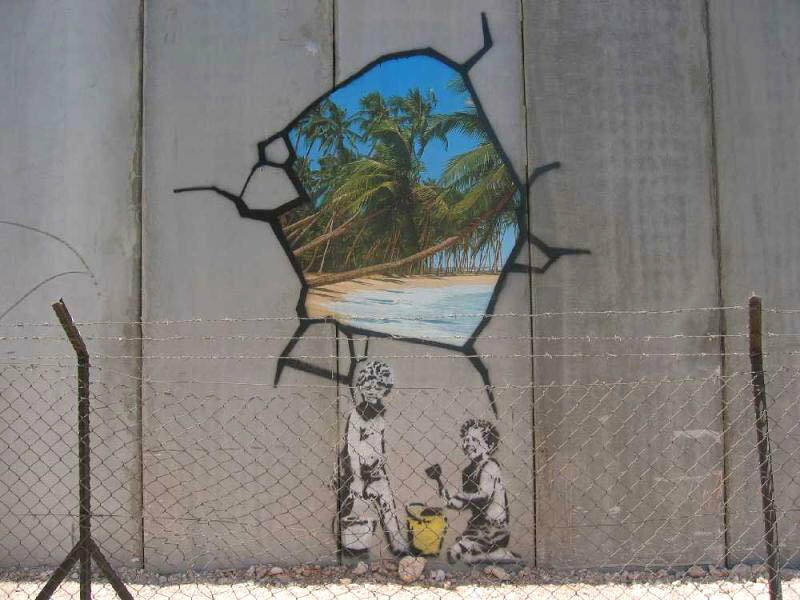 And Banksy benefits whether the story is true or not.